Sometimes our work can be quite elaborate, but last week, we took it back to the basics. We used Argentinian Wash Gold nuggets to make a simple but vibrant piece. 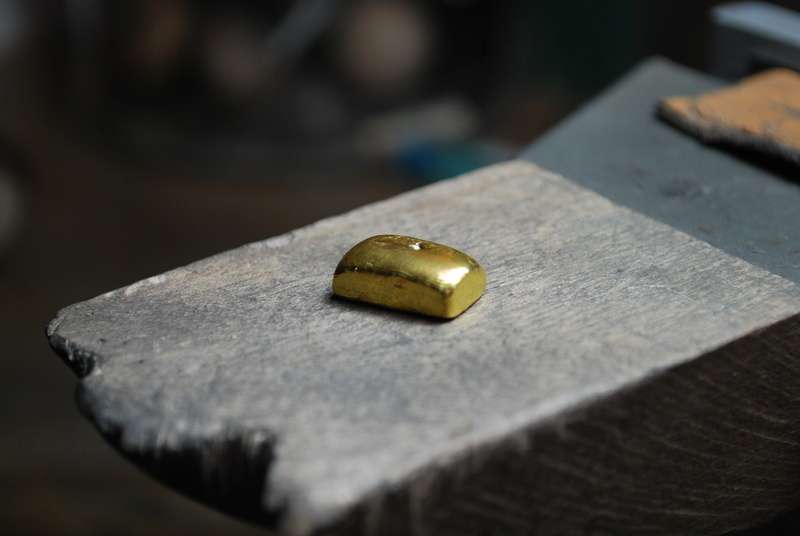 This particular gold was mined by gravity in the Chuspimayo River in Santa Catalina. 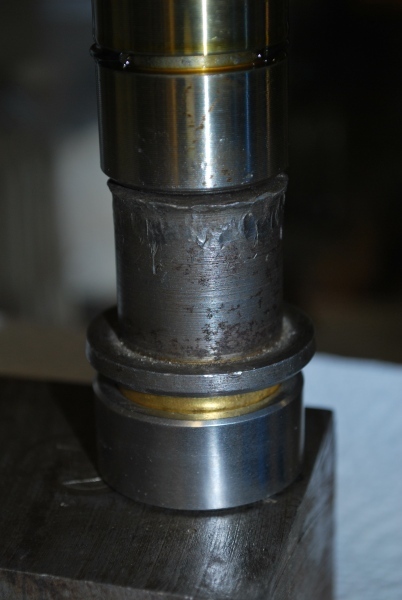 The process involves simply melting down the nuggets without adding any alloying metals or refining it. In the end, the result is a glowing gold, almost pure, that you might have seen in prehistoric museum pieces. For those of you that don’t know, Wash Gold is a gold that is mined in an ecologically friendly way, without the use of chemicals but by using methods of traditional panning instead. Our Wash Gold is traceable, regional gold from countries such as Argentina or Finland to name a few. 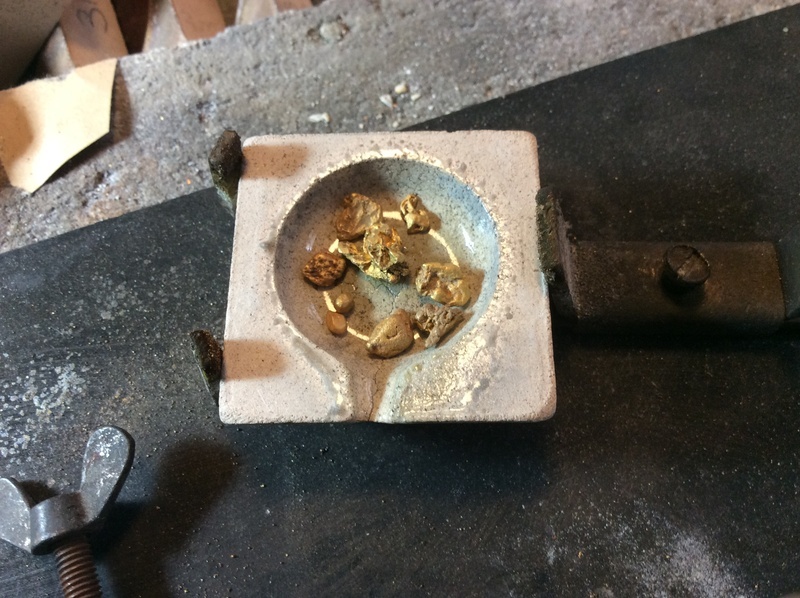 The amount of this gold produced annually is very limited which makes it both rare and of course special. One of our customers loved the idea of having something as special as his wedding band made of Argentinian raw Wash Gold. This is how the gold starts off. It is in the form of pure and raw nuggets which we have to turn into a beautiful and wearable piece of jewellery. 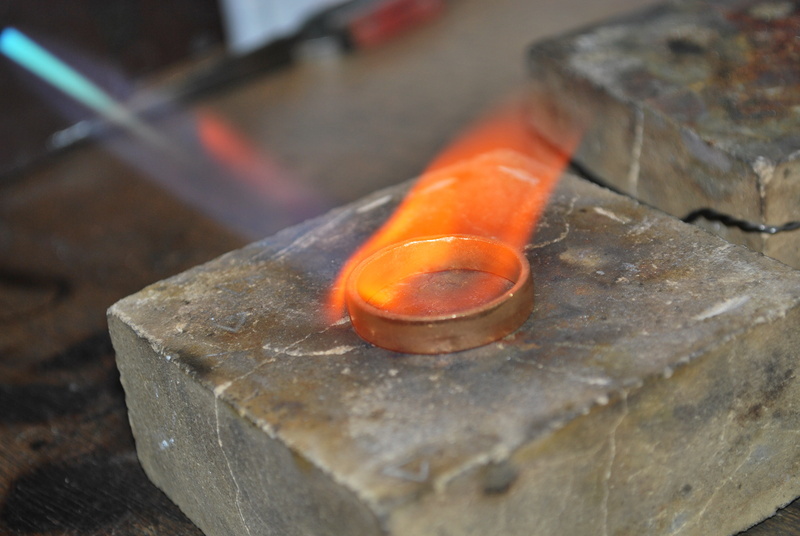 Jannis begins by melting down the gold at a very high temperature of approximately 1063 degrees Celsius. 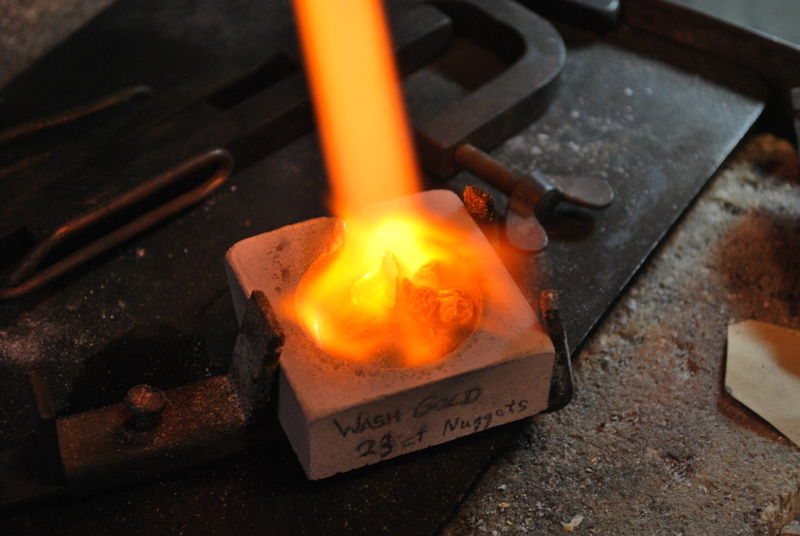 After the gold has been melted down a solid bar of gold is then cast. 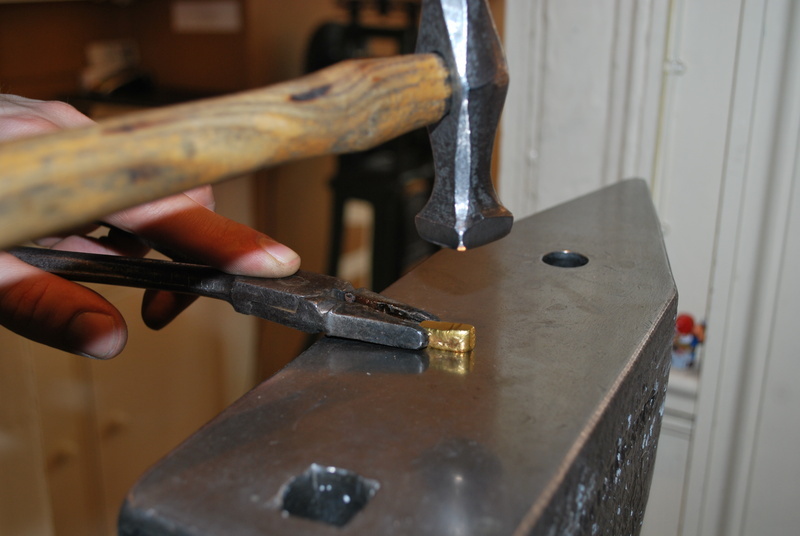 Jannis begins forming the gold by hammering it down. This also gets rid of any impurities or bubbles that may be present. The gold then goes through the mill to make the strip a good and workable size by slimming it down and making it longer simultaneously. 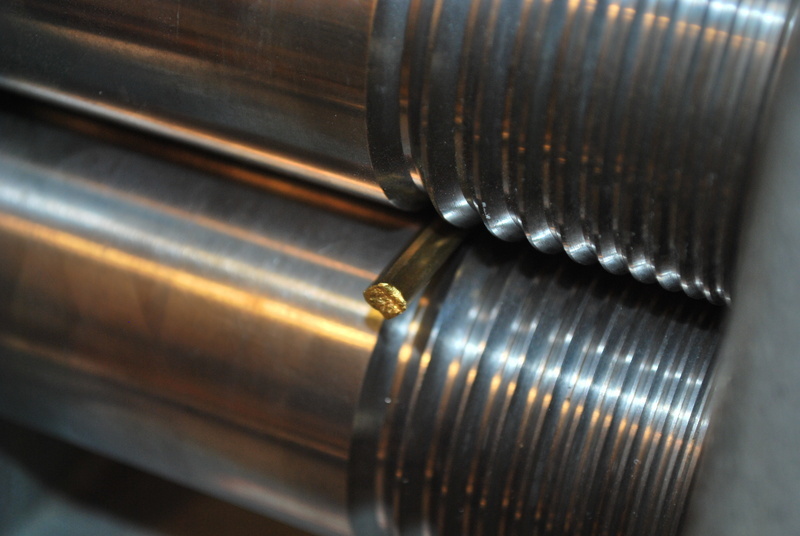 The strip is formed to a ring and then welded. 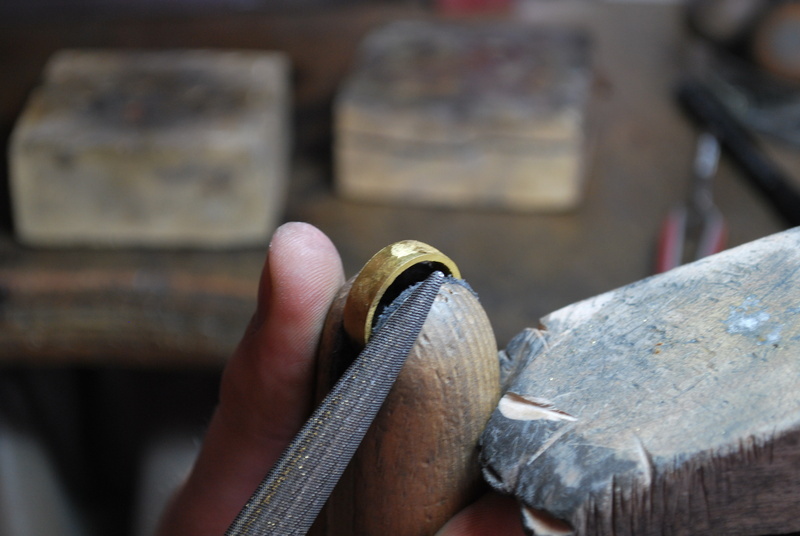 The ring, at this point, was slightly bigger size than Jannis needed it to be, so he squashed it down and this process hardens the metal at the same time. 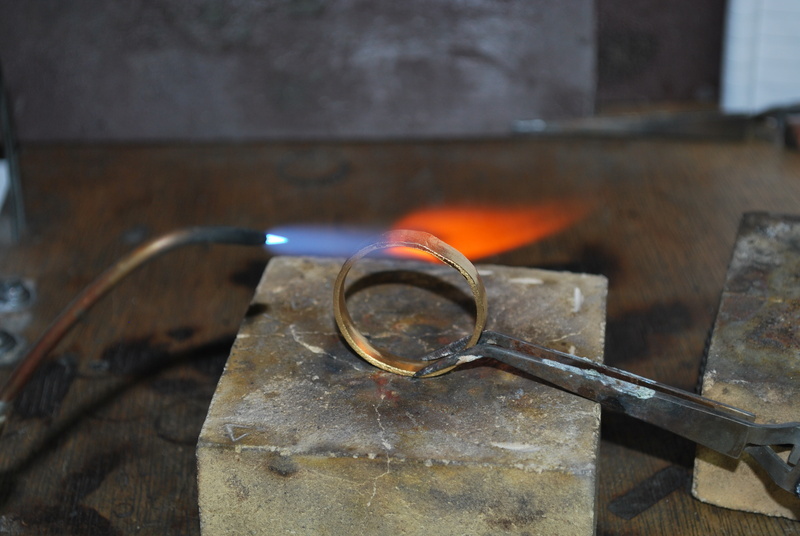 Jannis then annealed the ring. 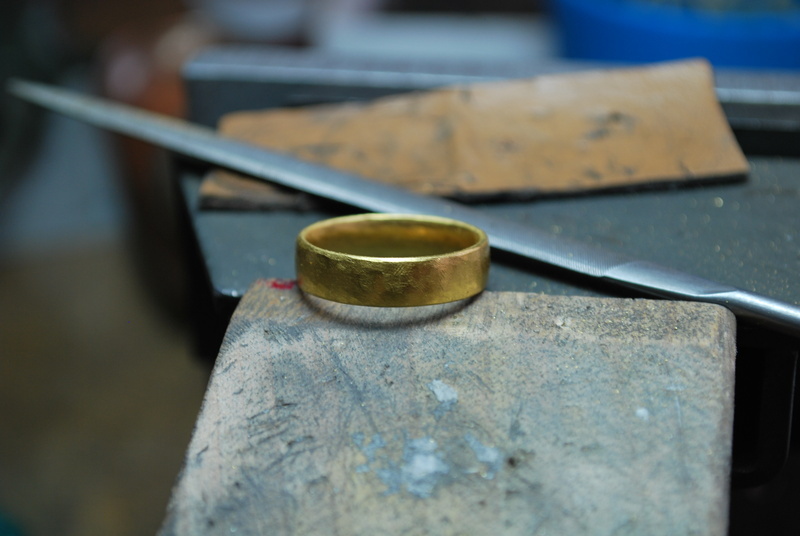 The shape of the ring was filed and rounded. After the ring has been buffed and polished, it is finally finished. 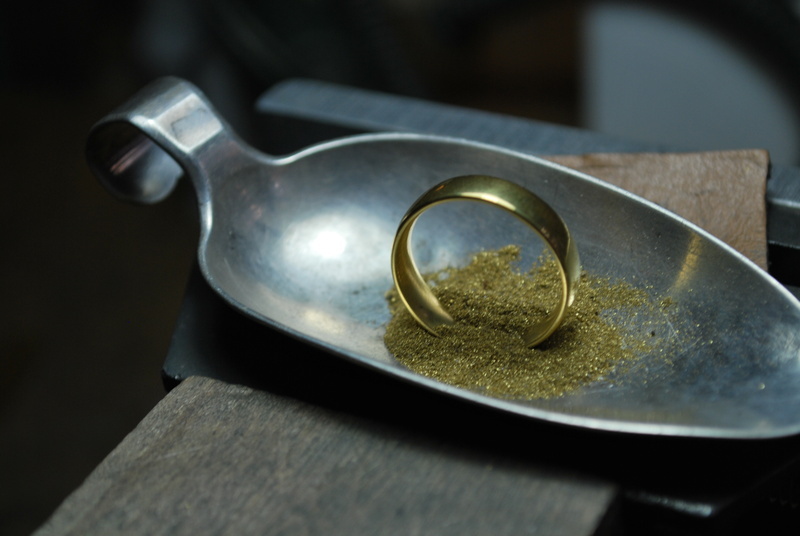 A beautiful Argentinian raw Wash Gold Wedding Band has formed.